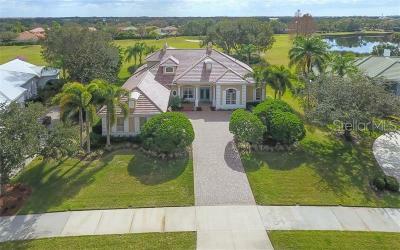 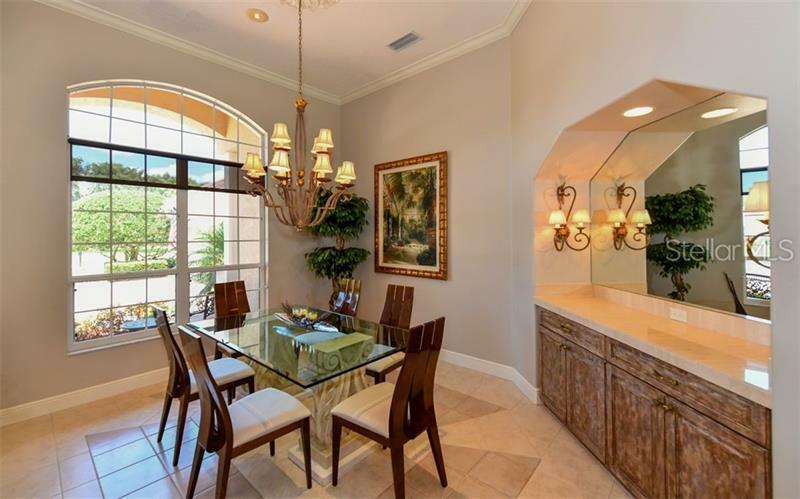 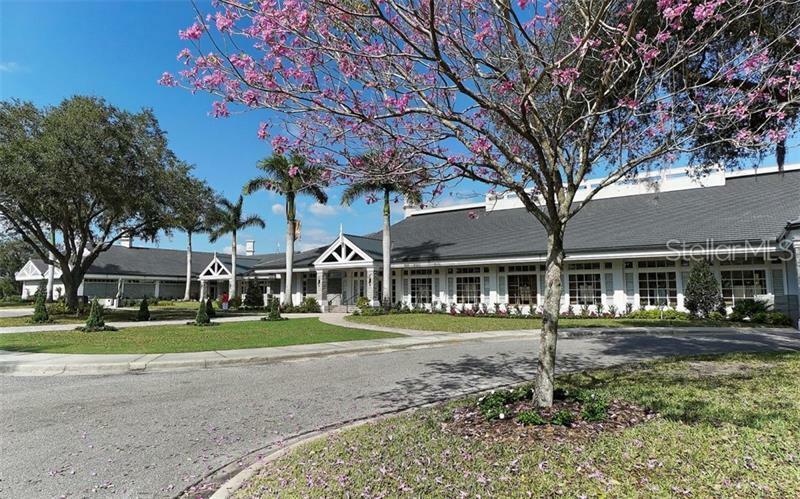 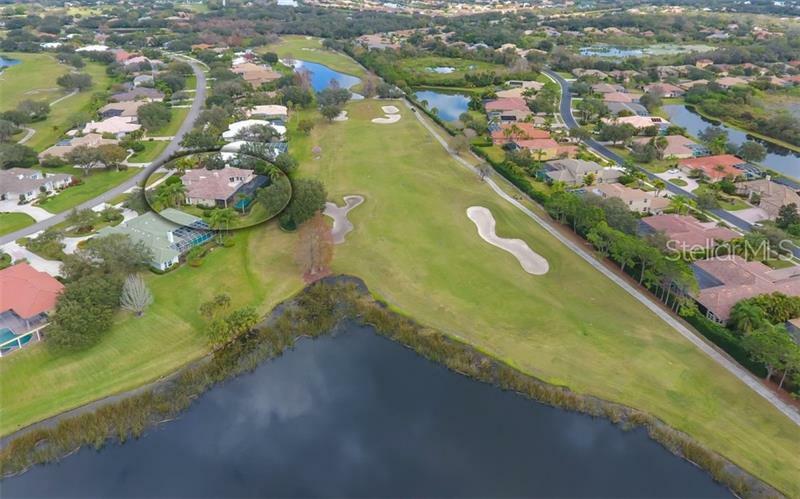 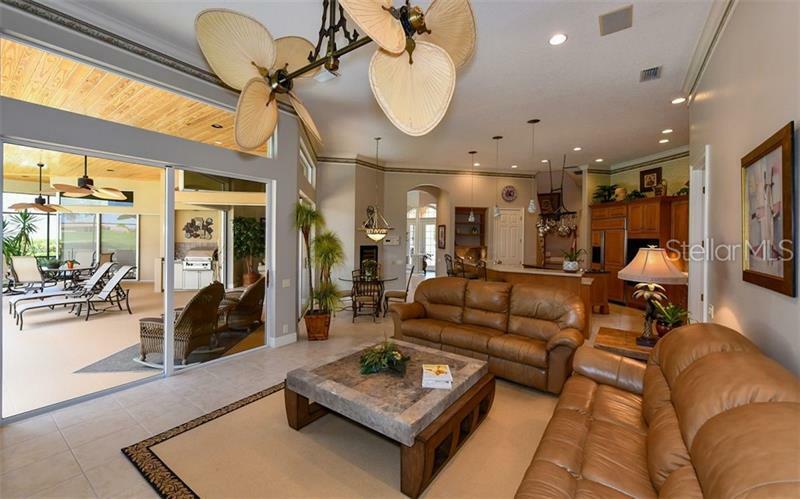 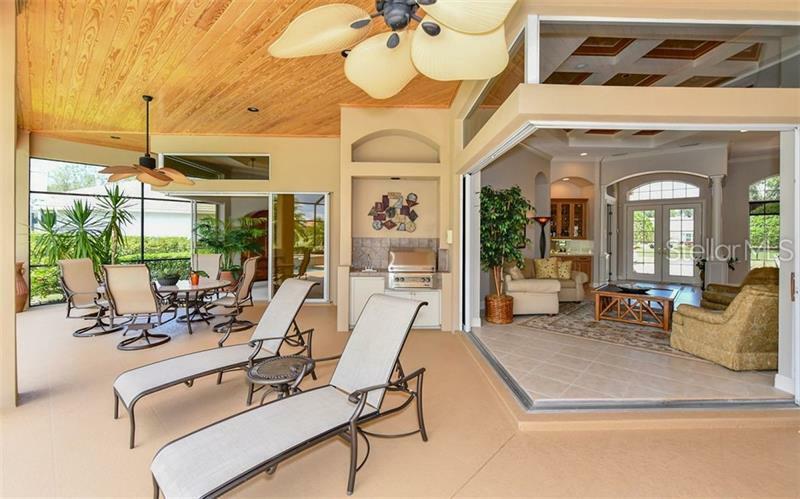 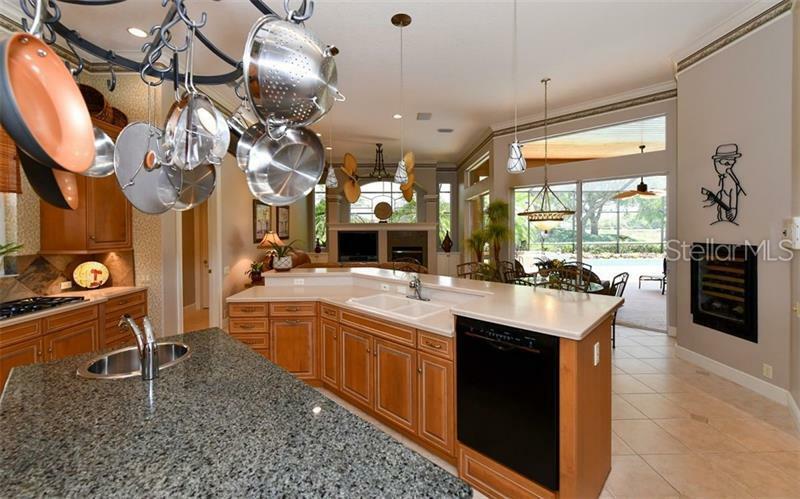 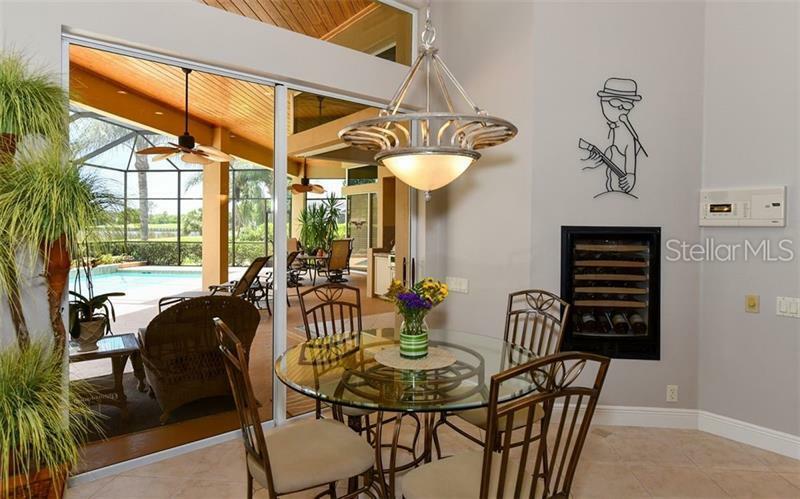 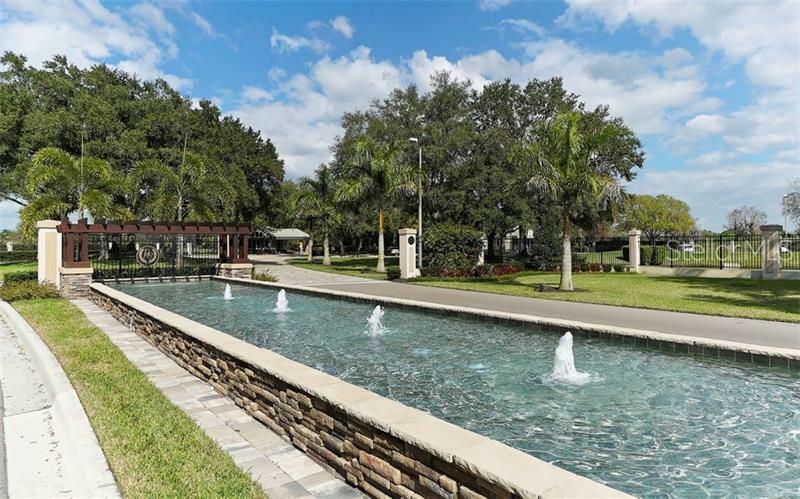 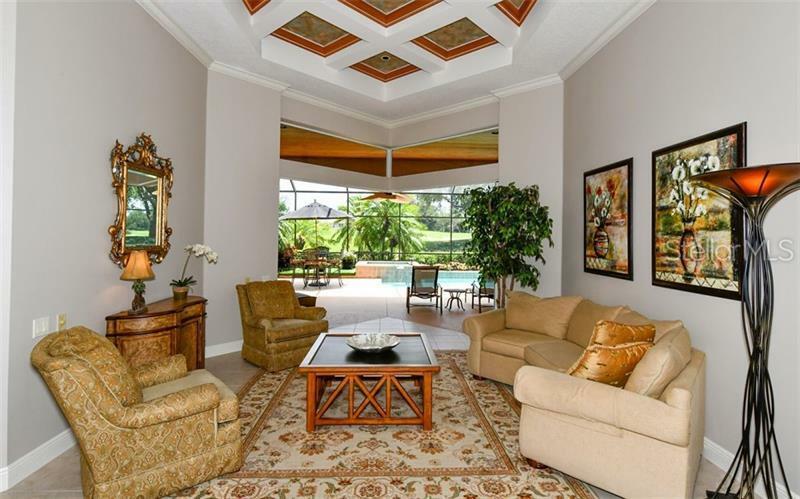 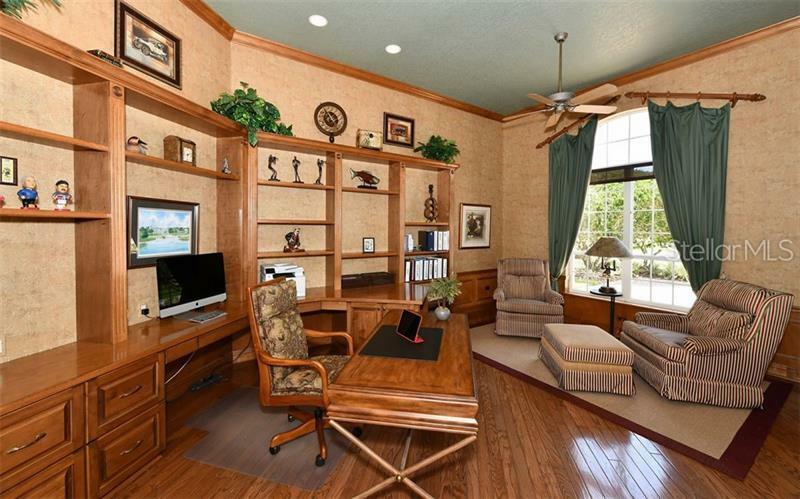 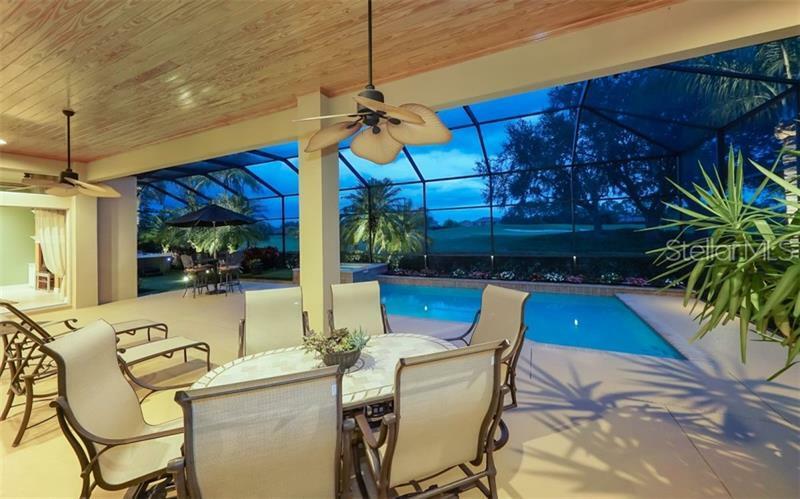 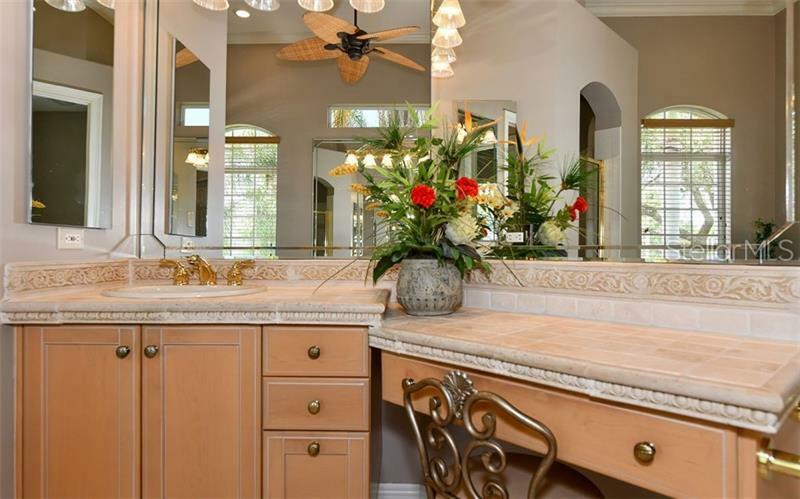 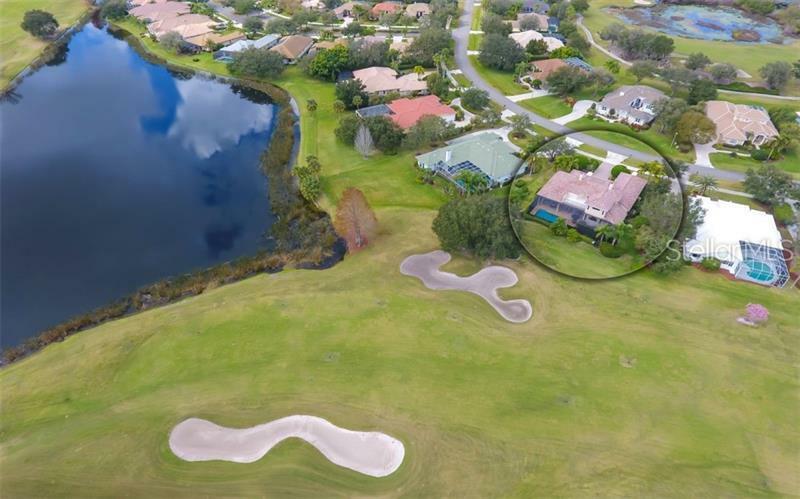 Beautifully positioned on nearly half an acre this former Arthur Rutenberg model home features gorgeous lake and golf course views. 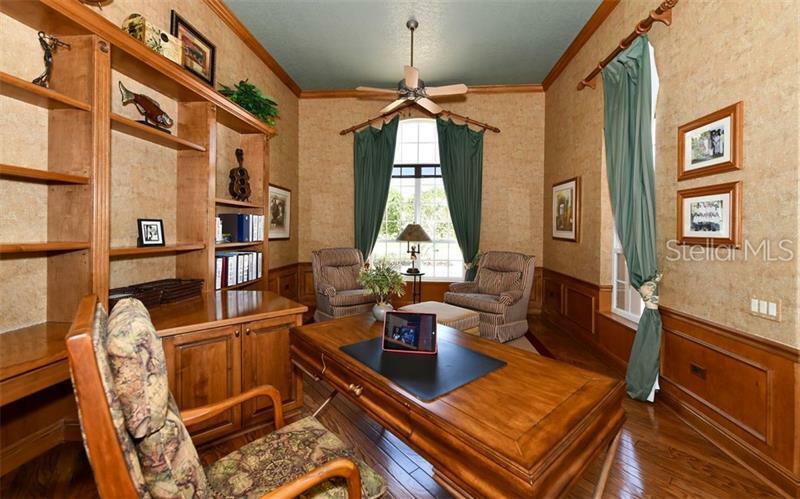 Walk-in ready including furnishings (few exclusions). 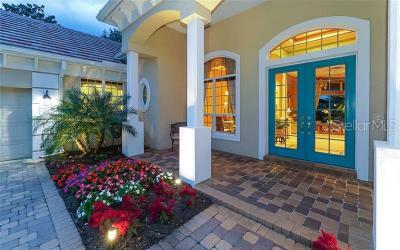 As you step into the over 4300 sq. 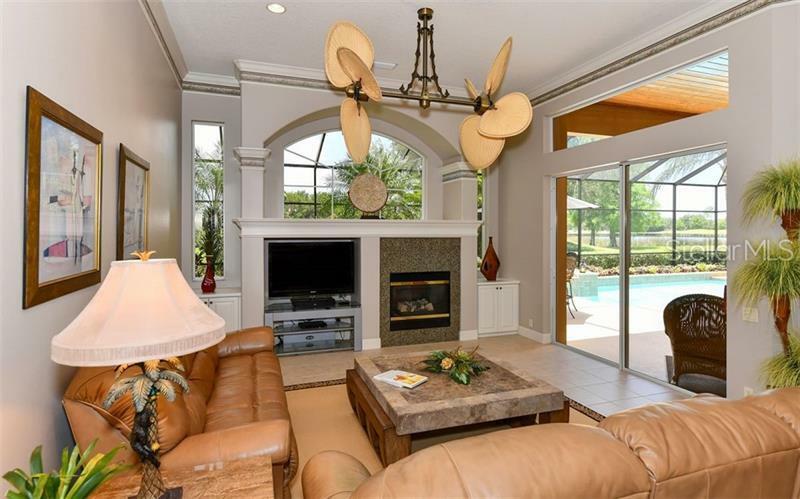 ft. of living area the spacious open feel invites you to admire a host of elegant features including 14-16â tray ceilings crown molding and high-quality finishes. 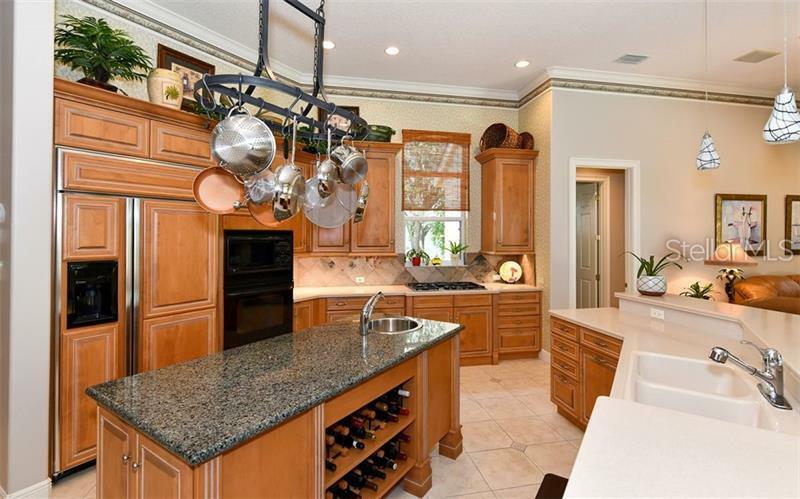 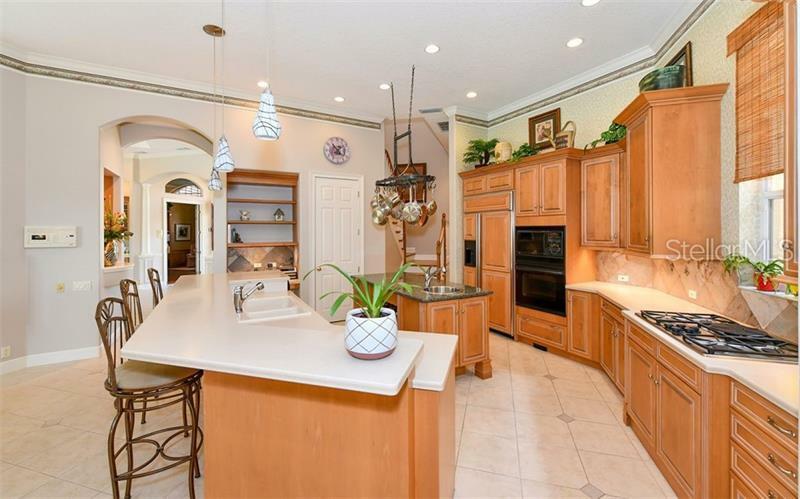 The professional chefâs kitchen is equipped with granite kitchen island 5-burner gas stove Bosch dishwasher double sinks and closet pantry while a built-in wine cooler adds finesse as you entertain guests. 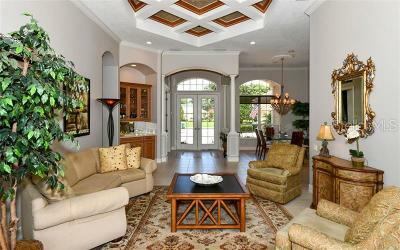 Additional living spaces include a den with built-ins formal living and dining rooms and a large bonus room with wet bar. 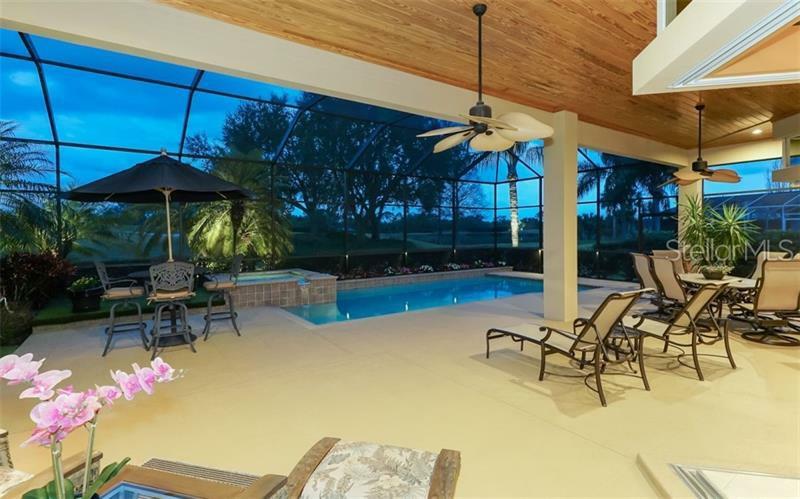 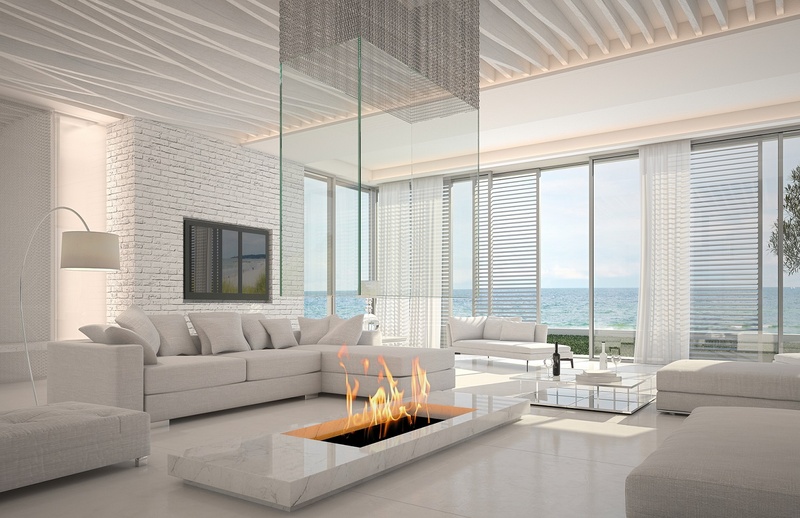 Corner pocket sliding glass doors seamlessly connect the living room with the outdoor entertaining space enhanced by views of the lake and the 14th hole of West Course. 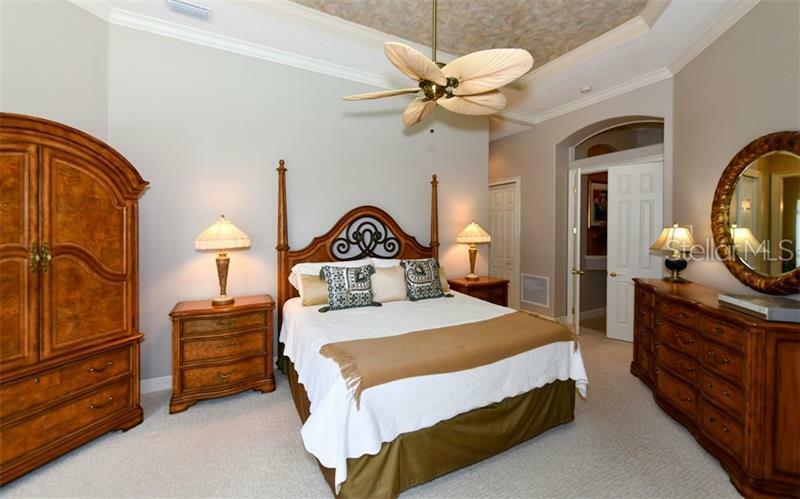 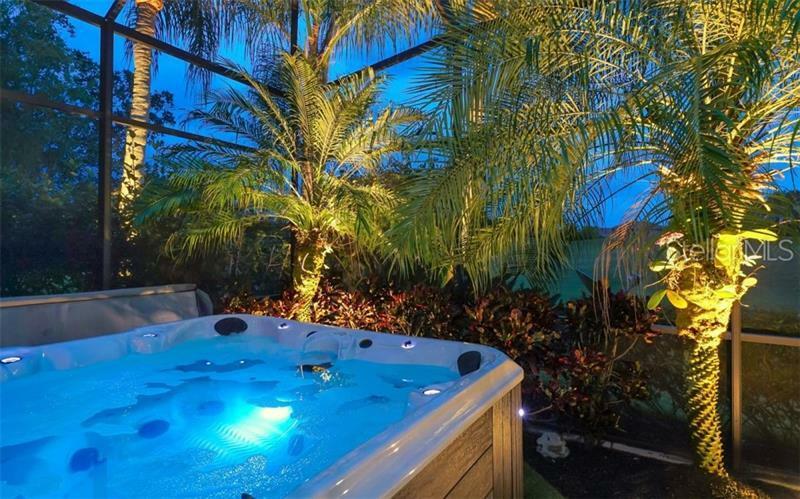 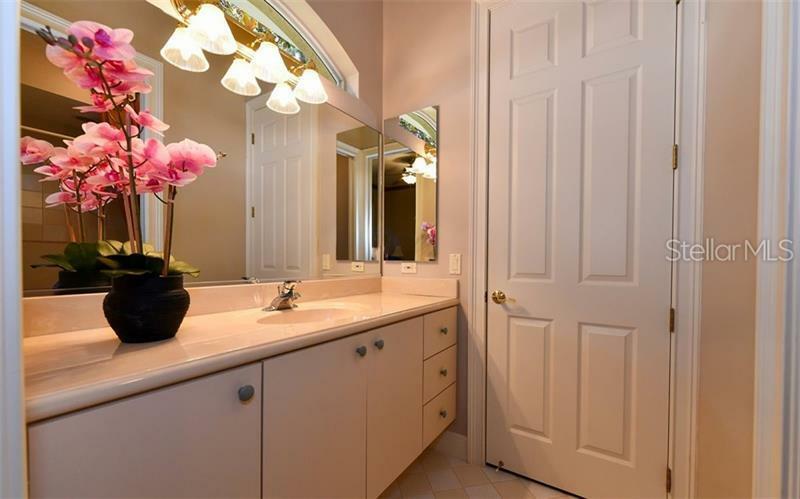 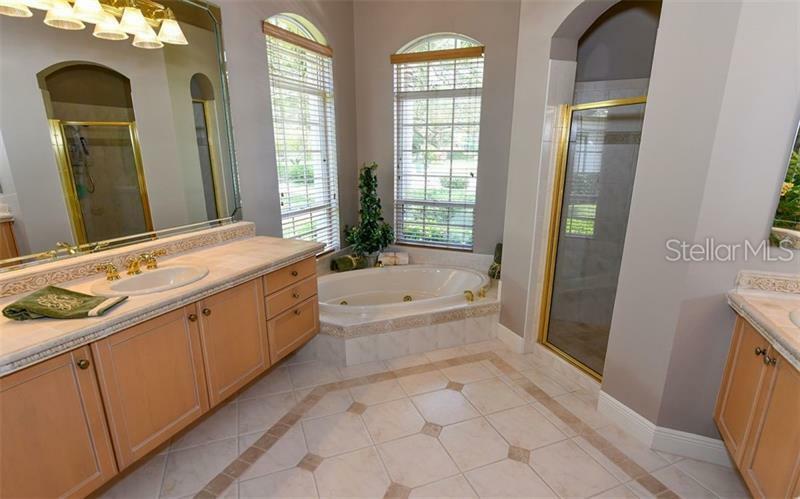 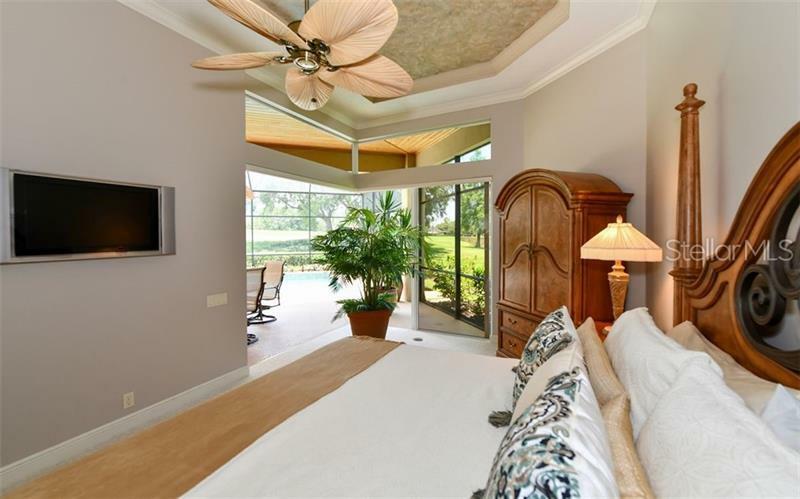 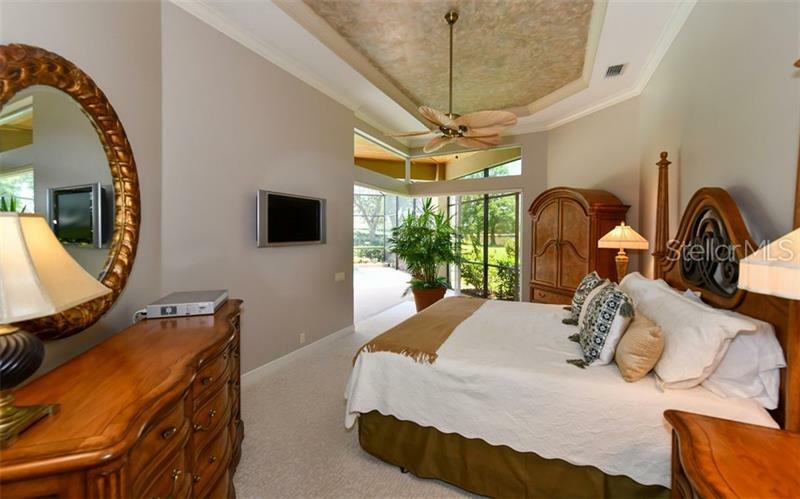 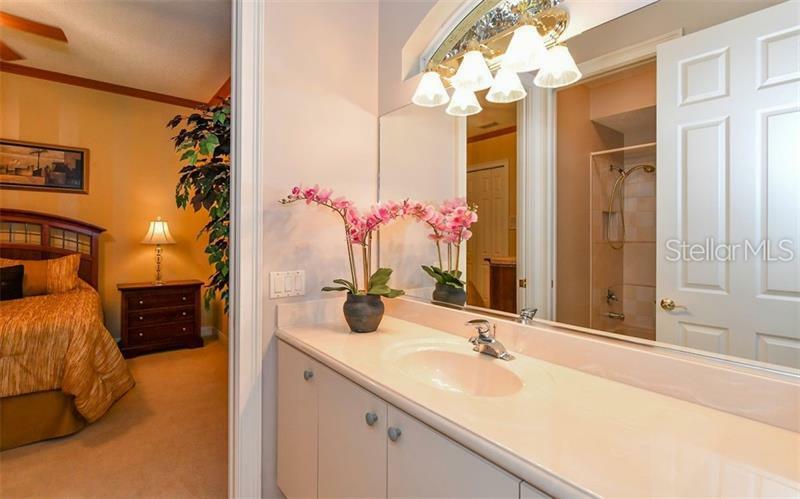 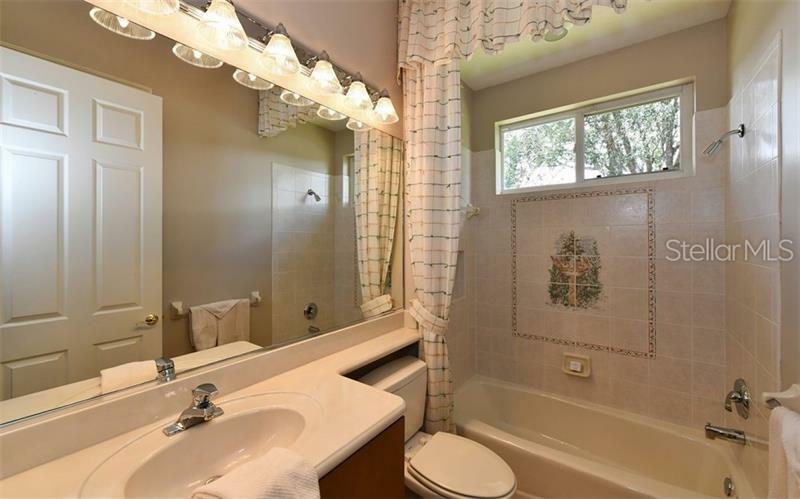 The master suite boasts dual walk-in closets & bath with jacuzzi tub. 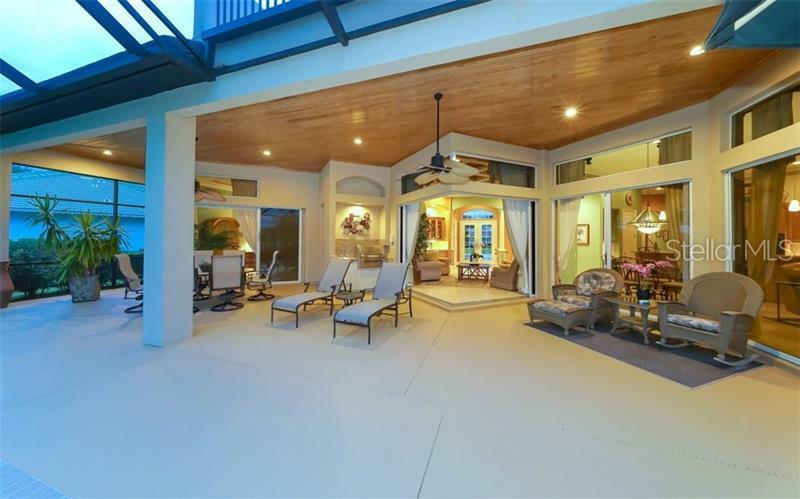 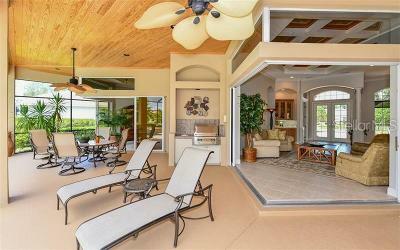 The outdoor living area features a summer kitchen resurfaced salt water pool and spa white pine ceiling paneling in the lanai providing a luxurious al-fresco setting for relaxation. 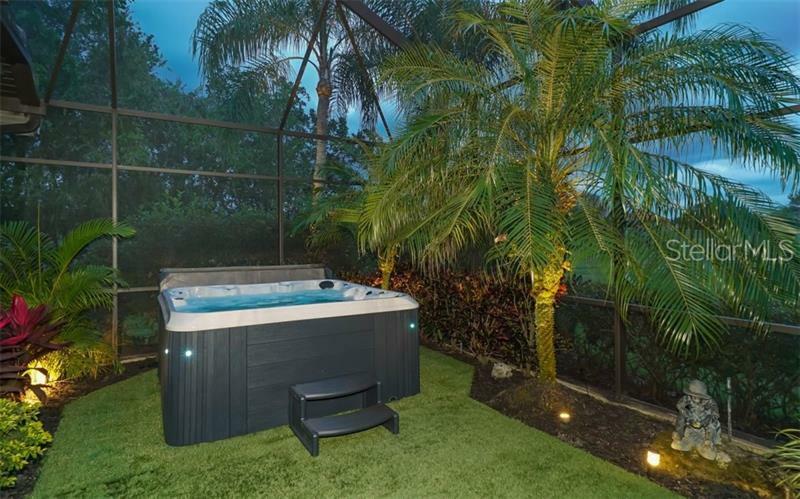 New cage screens and landscape lighting add outdoor elegance. 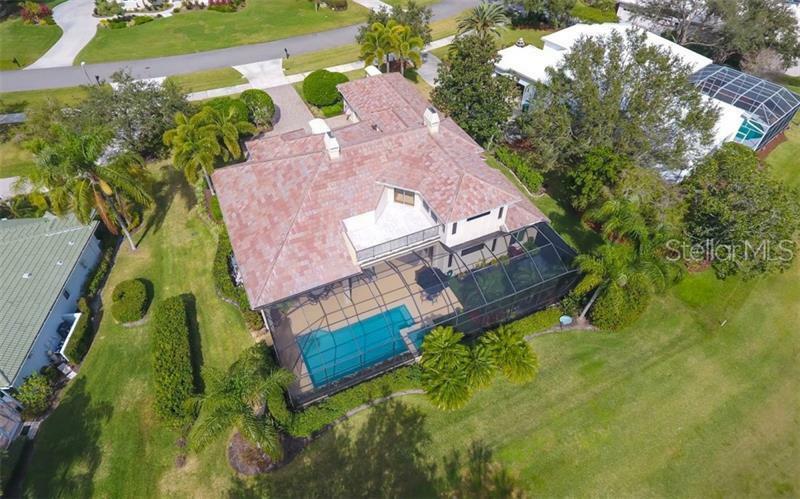 New roof with transferable warranty. 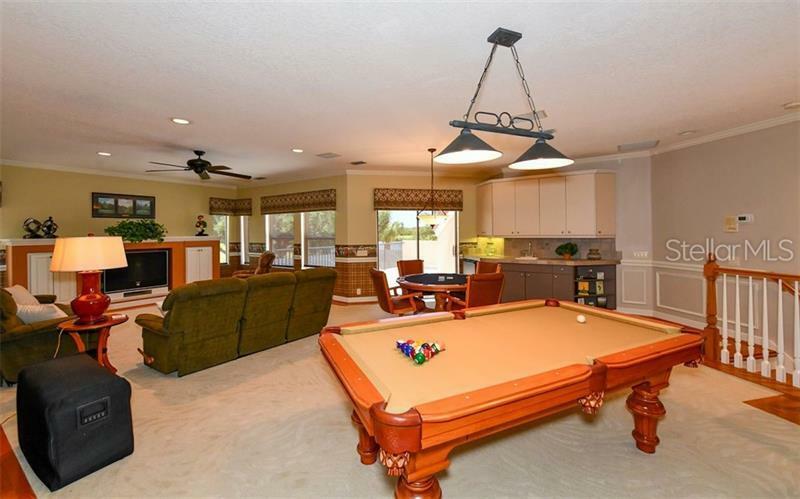 Spacious 3-car garage (with electric charging station). 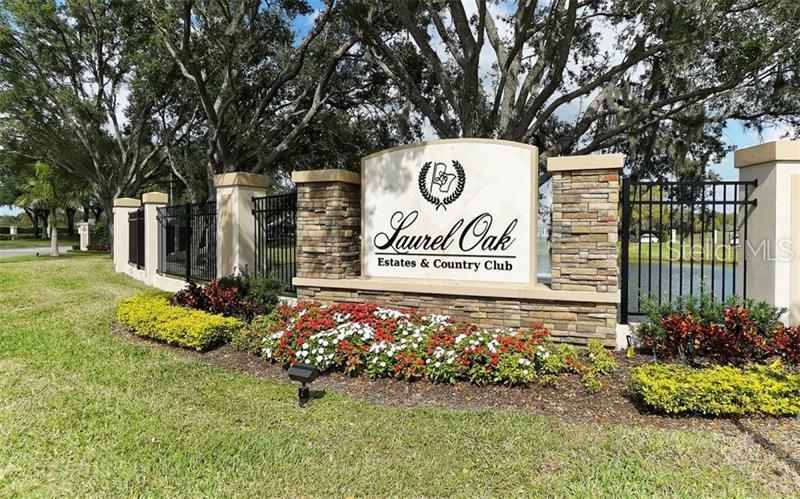 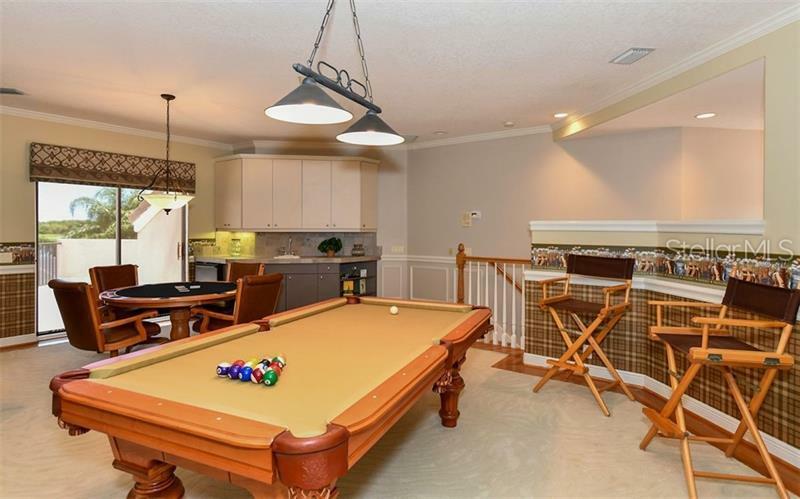 Laurel Oak is a gated golf course community featuring two championship golf courses tennis swim center and year-round family activities. 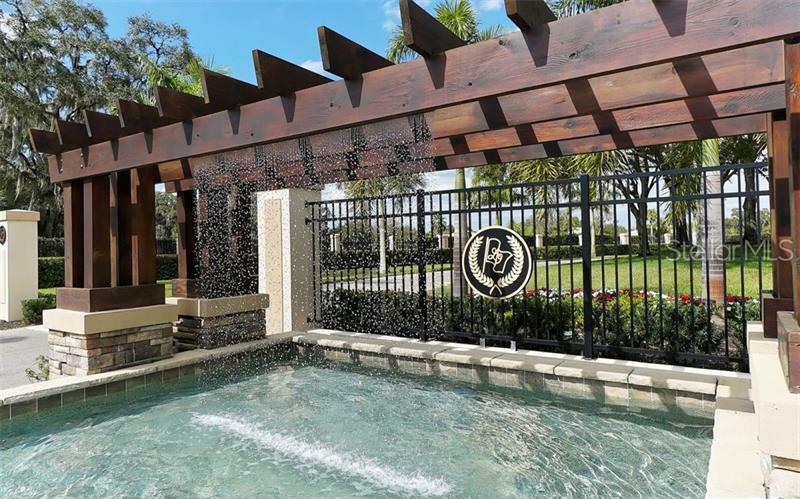 Membership is optional.